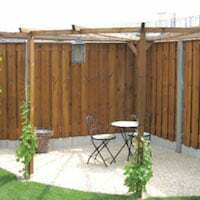 On the Emma Corner Log Cabin product page, we like to give you all the details we can think of in terms of dimensions, technical installation tips and the best feature of said product. 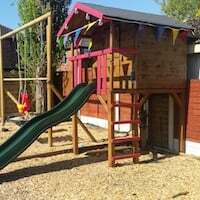 But, on this page we let our previous customers voice their opinion on the Emma Log Cabin and let them show you their thoughts, ideas and pictures! We may also have our team input why they desire that particular product too, so here goes.. 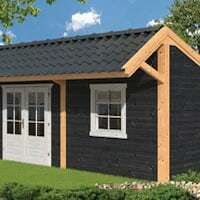 The 40mm Emma Log Cabin Summerhouse. 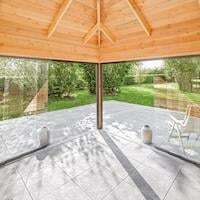 Designed after the popularity of the Jos Corner Log Cabin and the Asmund Corner Log Cabin, the Emma features 40mm Spruce logs and double glazed windows and doors for all year around use. 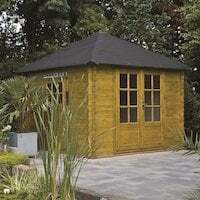 Measuring at 3m x 3m with a height of 2.5m the Emma Log Cabin is ideal for UK gardens and the possible uses are endless. 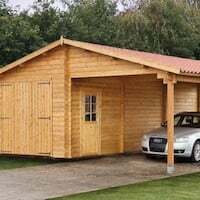 “Cabin delivered on time and everything exceptionally well packaged. Delivery driver could not have been more courteous or helpful. 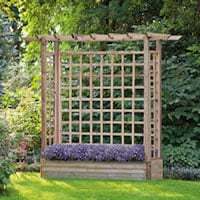 Although some customers found the instructions from previous years confusing, its really a simple process, so long as you keep organised. 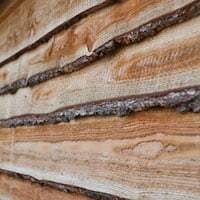 You can find loads of information in order to be fully prepared for installing your Log Cabin on the Essential Installation Manual as well as plenty of other Log Cabin Fitting Tips throughout the blog, from our expert (practically), Richard. Emma corner log cabin customer pictures on Google Photos. A beautiful description Sophie! 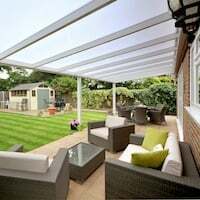 The Emma is a great happy medium when concerning heat capacity and Log Cabin cost- to make it more considerable for the winter months, we recommend to insulate the roof and under the floorboards. 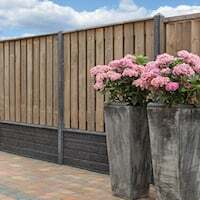 You could also take advantage of our current Free Shingle Offer! 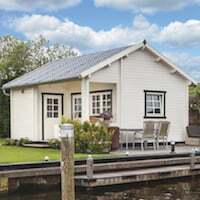 There’s endless reasons why the Emma Corner Log Cabin made it to the showcase..
For more details including measurements, pricing and what’s included within the cabin kits, please check the product page. If you enjoyed this showcase, you’ll probably enjoy the Aiste Log Cabin Feature Page, or the Jenny Log Cabin Feature Page. 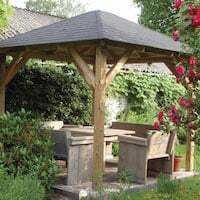 This entry was posted in Customer Reviews and tagged log cabin, log cabins, Showcase, Tuin by Megan. Bookmark the permalink.